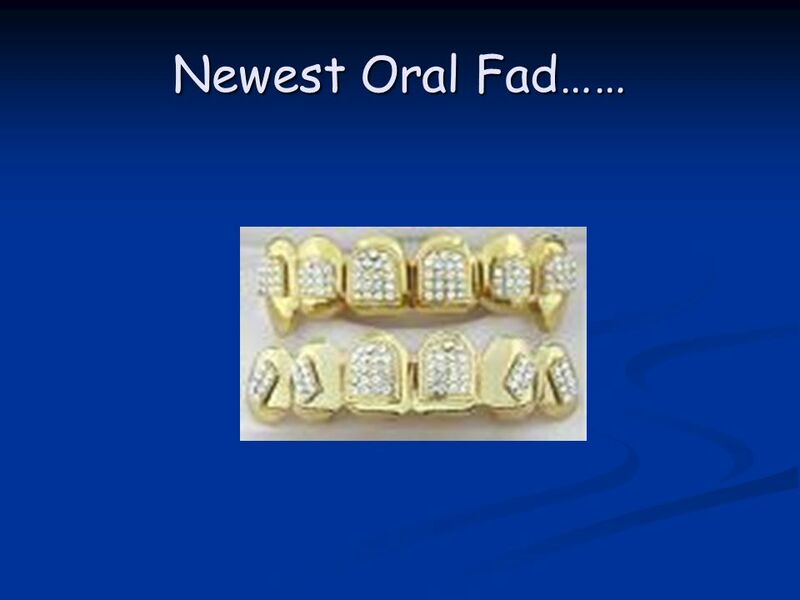 Mouth Jewelry-Its Not As Simple As You Think!. History The ancient Aztecs, Mayans, and tribes of the American Northwest pierced their tongues The ancient. 1 Mouth Jewelry-Its Not As Simple As You Think! 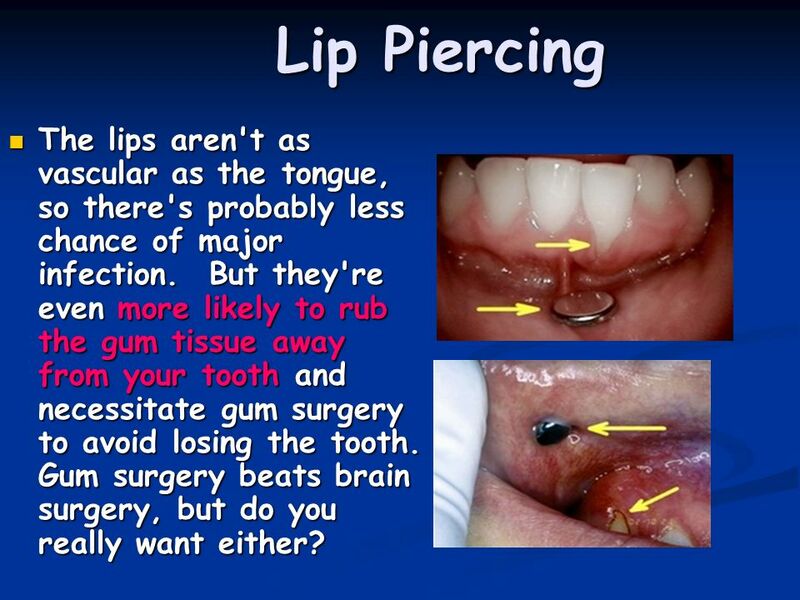 10 Lip Piercing The lips aren't as vascular as the tongue, so there's probably less chance of major infection. But they're even more likely to rub the gum tissue away from your tooth and necessitate gum surgery to avoid losing the tooth. Gum surgery beats brain surgery, but do you really want either? 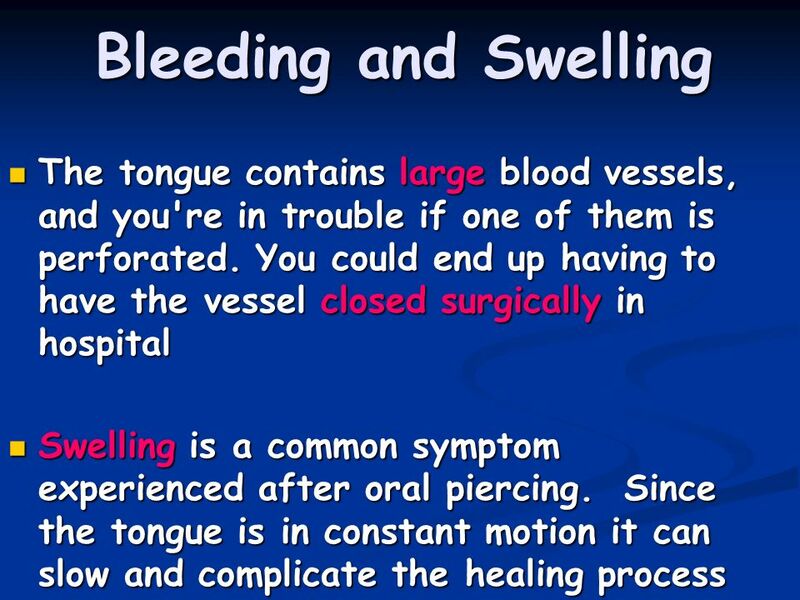 The lips aren't as vascular as the tongue, so there's probably less chance of major infection. But they're even more likely to rub the gum tissue away from your tooth and necessitate gum surgery to avoid losing the tooth. Gum surgery beats brain surgery, but do you really want either? 23 Do plastic barbells solve the problem? No. 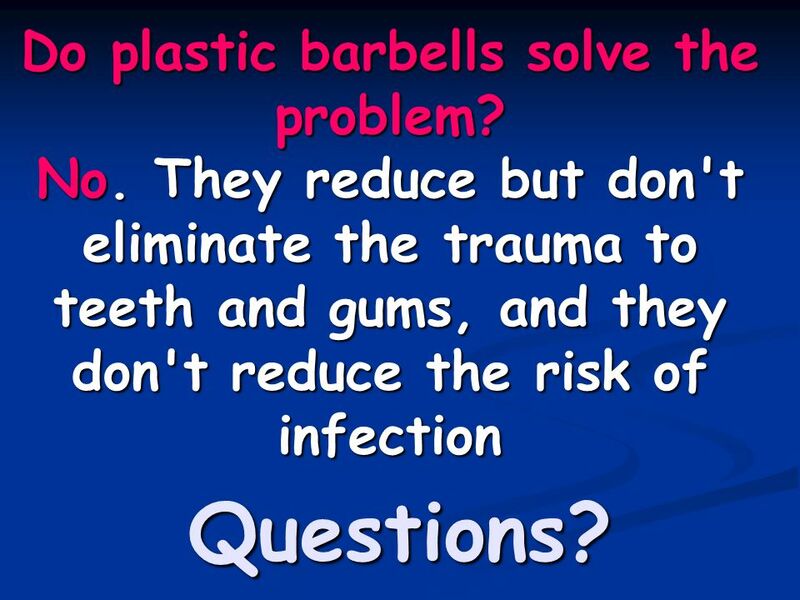 They reduce but don't eliminate the trauma to teeth and gums, and they don't reduce the risk of infection Questions? 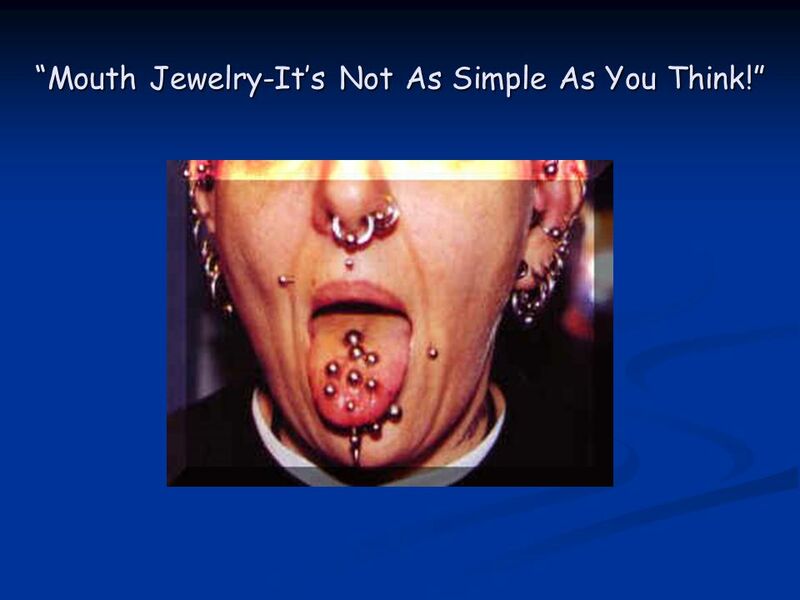 Download ppt "Mouth Jewelry-Its Not As Simple As You Think!. 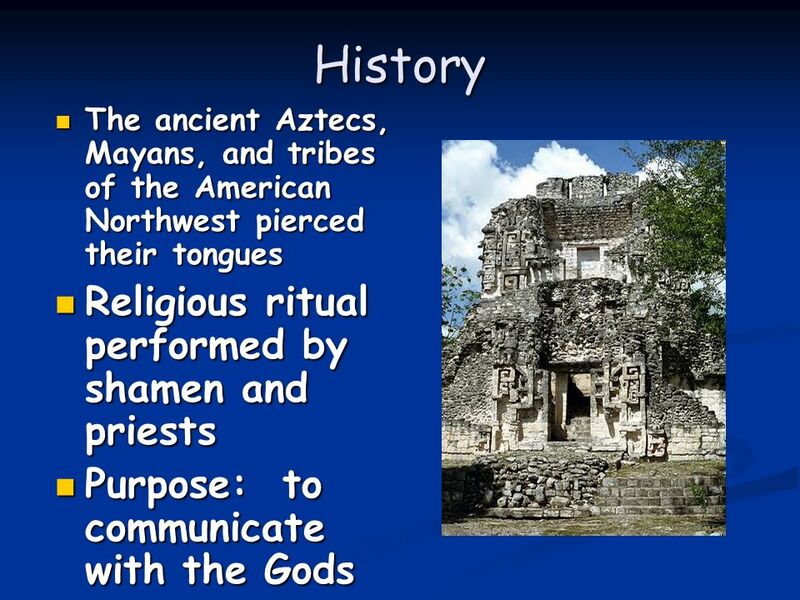 History The ancient Aztecs, Mayans, and tribes of the American Northwest pierced their tongues The ancient." 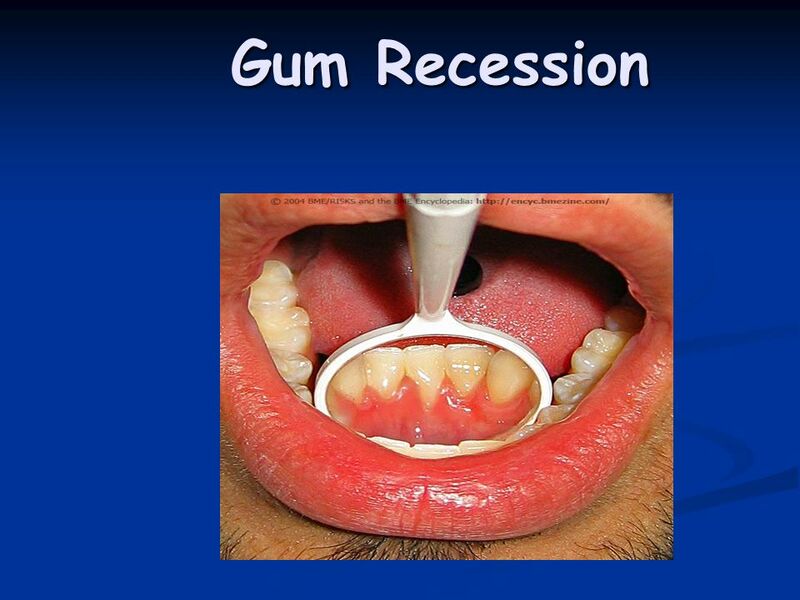 Current Trends That Effect Oral Health. 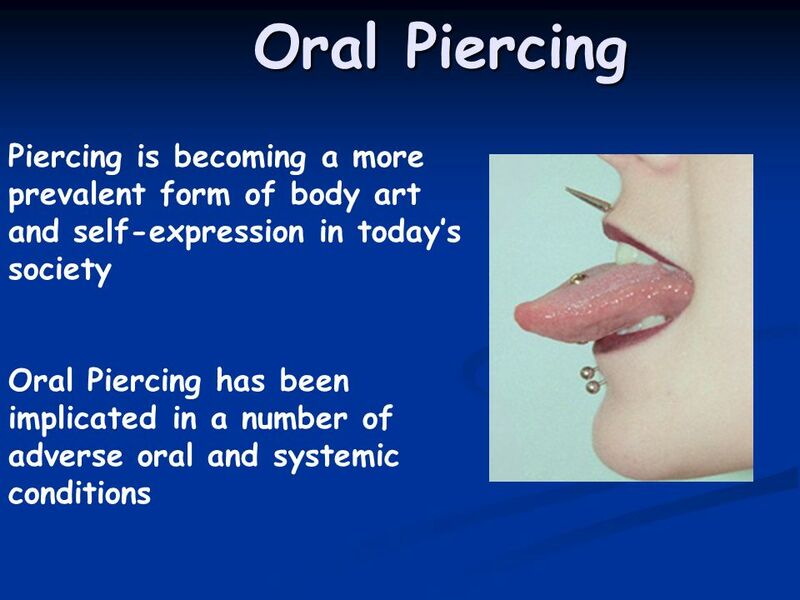 Oral Piercing Oral piercing has become more popular among young people. 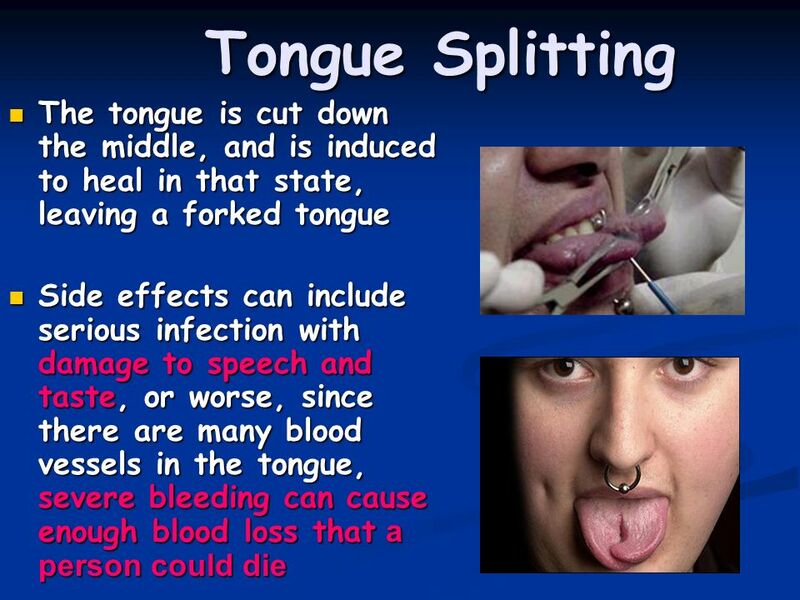 Piercing of the tongue, lips, and cheeks. Teeth to Treasure Grades: 4 to 6. 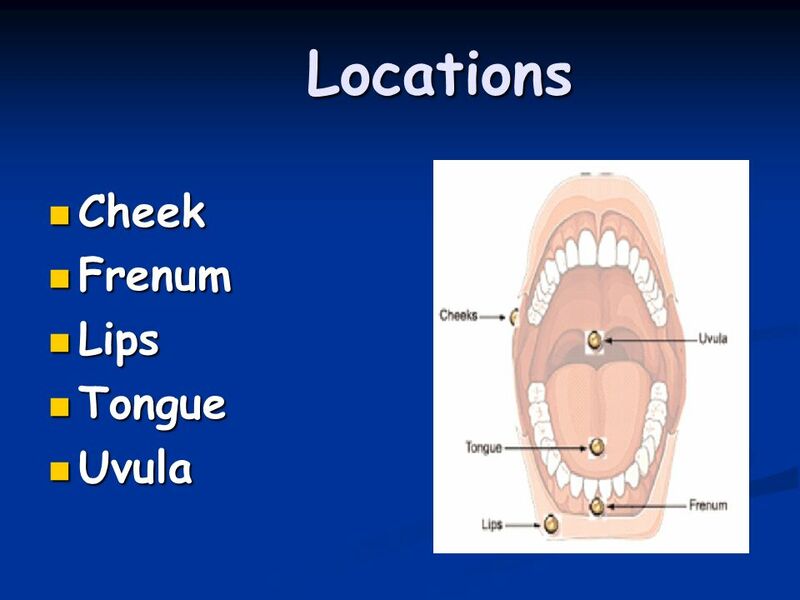 Oral Surgy In Children N.A.GH. 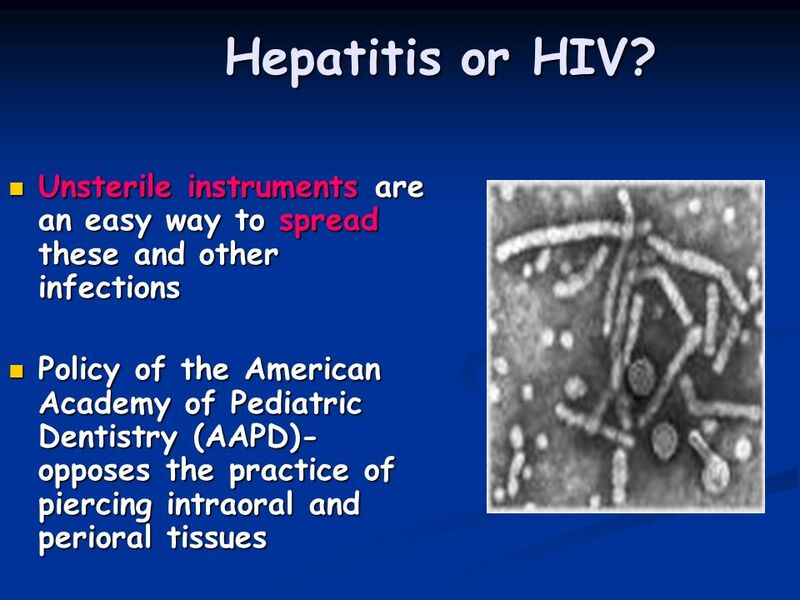 Oral Surgy In Children N.A.GH. 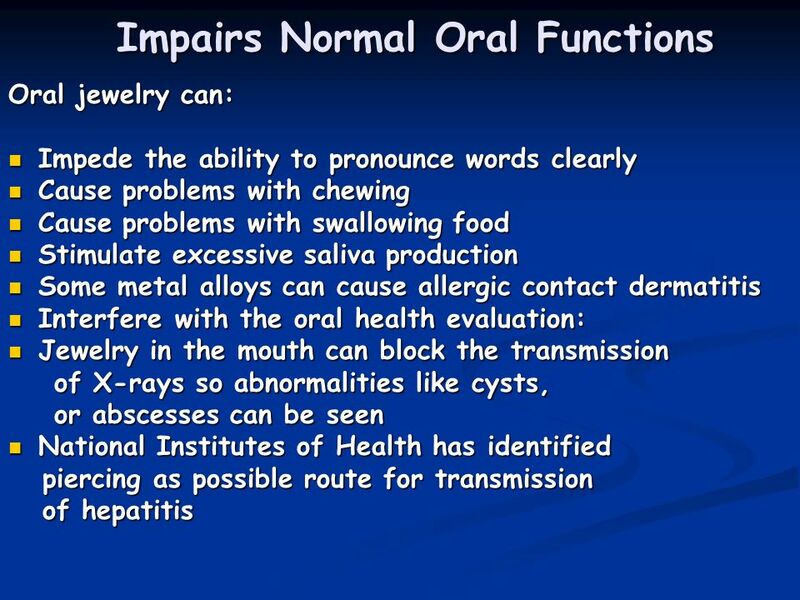 In the next group of slides these normal oral structures are presented. Why Do We Need Our Teeth? Eating! Company LOGO Dental Health in Teens DENTAL INJURIES & USING MOUTH GUARDS Share the Care San Diego County Health and Human Services Agency. Seniors Oral Health. Seniors Oral Health Introduction Maintaining healthy teeth and gums at any age is an important part of preserving your overall good. Health Body Modifications. 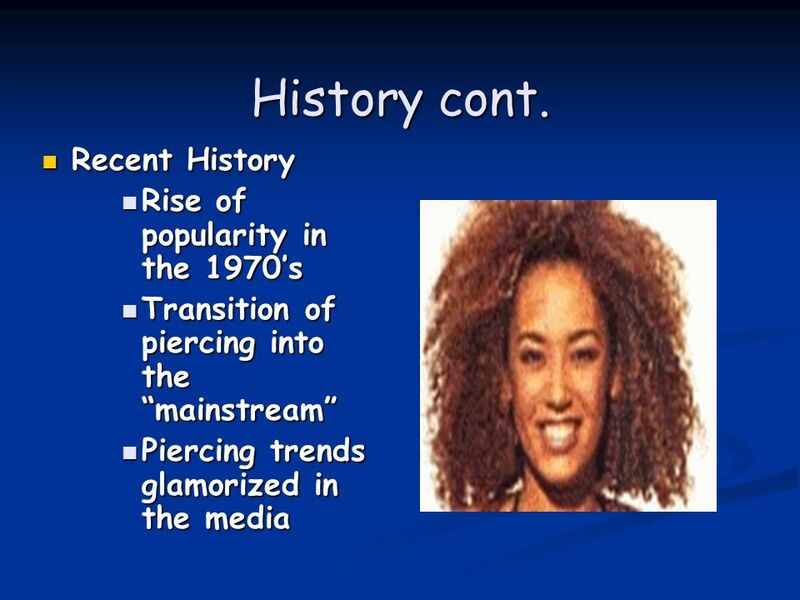 History Body Modification has been around for centuries Tattoos have been found on mummies in Egypt Pierced lobes, noses or. 1. Coat of Arms 2. 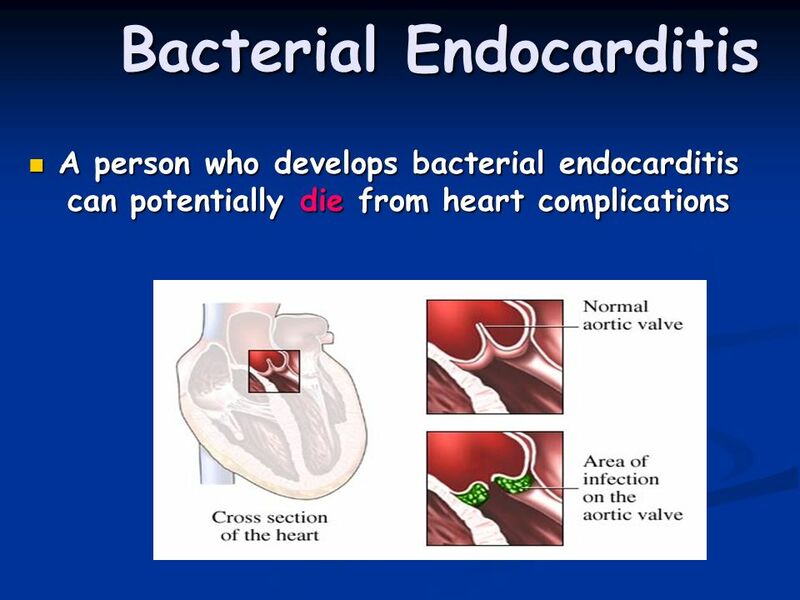 Getting Acquainted with Health 3. Reading Passage 4. Risky Business Tri-Fold 5. Decision Making Model 6. Take Control! 7. 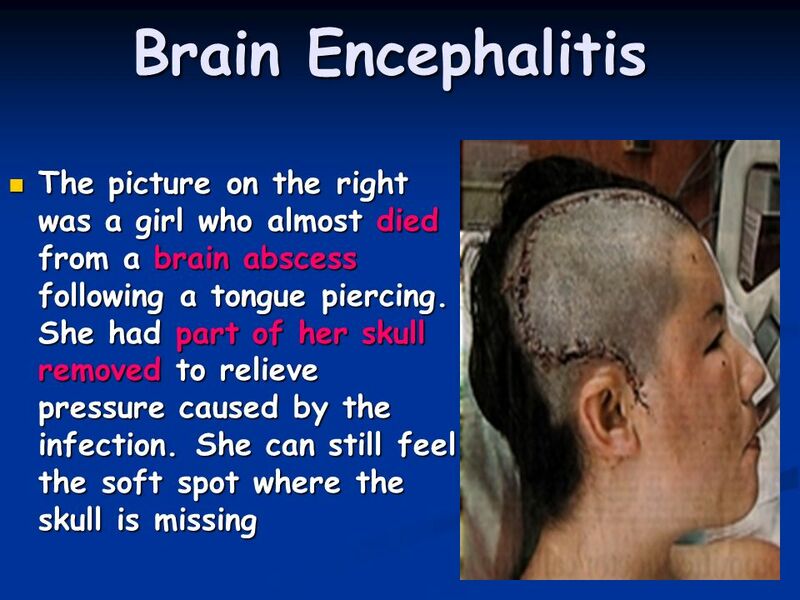 Think Before. 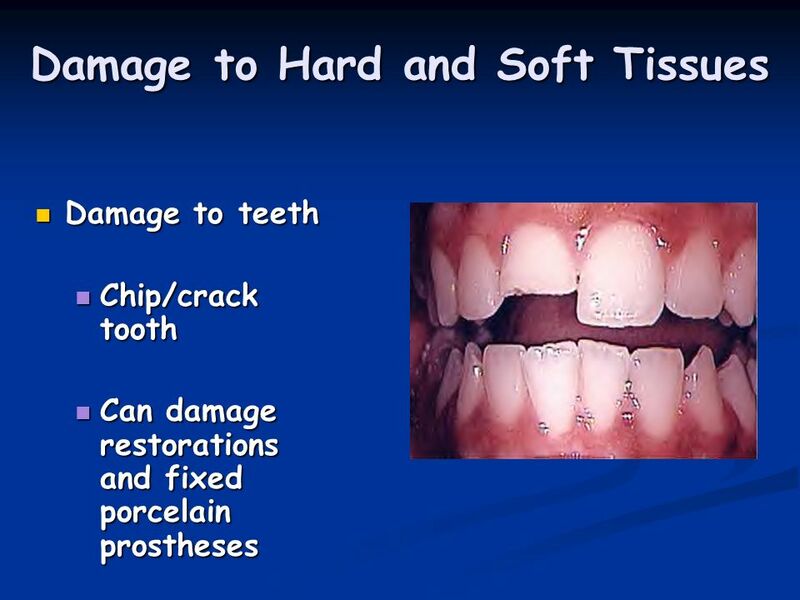 Nicole M. Breton BS,RDH Dental Injuries 101. 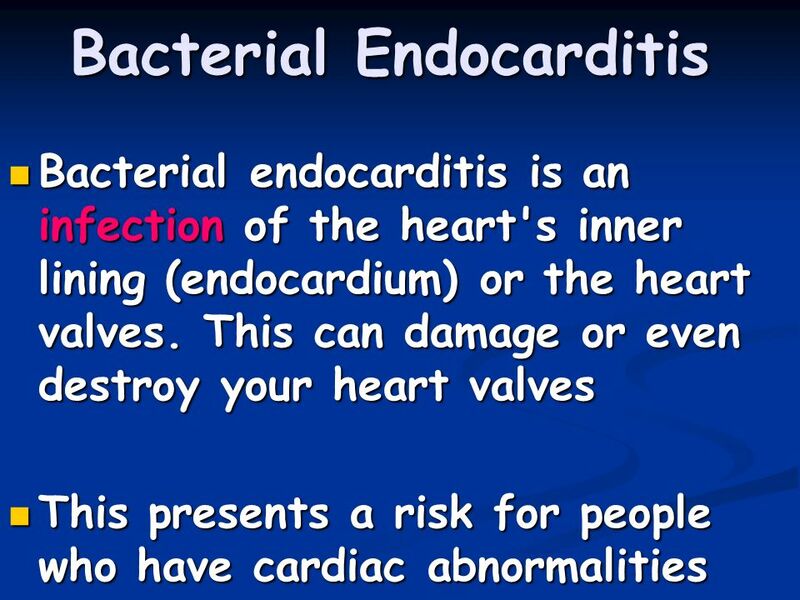 An average of 22,000 annually occurred among children less than 18 years of age. 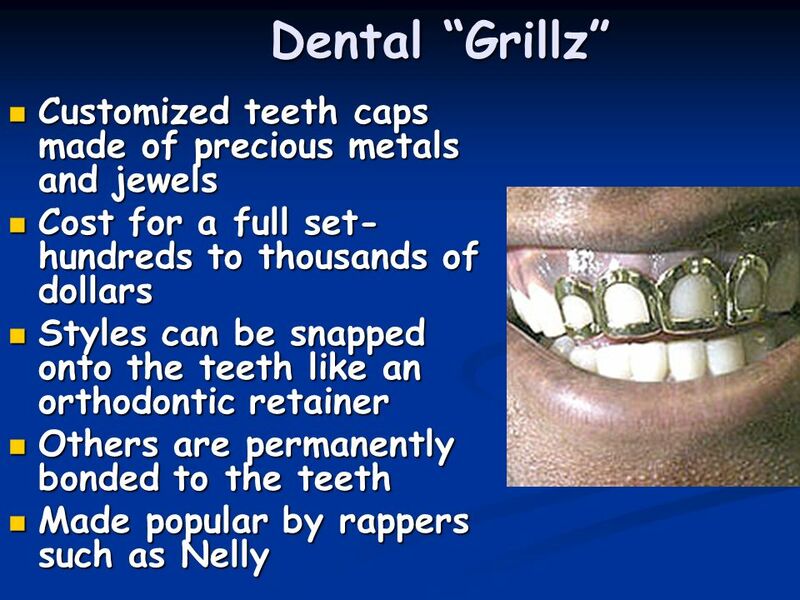 Over 80% of all dental injuries. You decide. 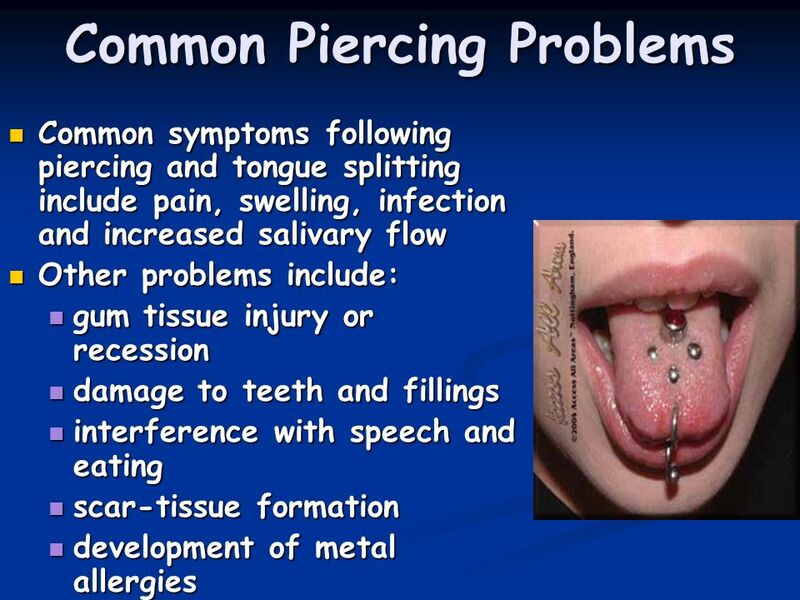 Oral piercing is a popular trend, but this fashion statement comes with some serious health risks. Get the facts before you decide if piercing. Missouri Department of Health and Senior Services Oral Health Program Oral Health Grades 6-8. A Lifetime of Healthy Happy Teeth! Grades: 2 & 3. Dental Care at Paradise Animal Hospital. How can I tell if my pet has dental disease? 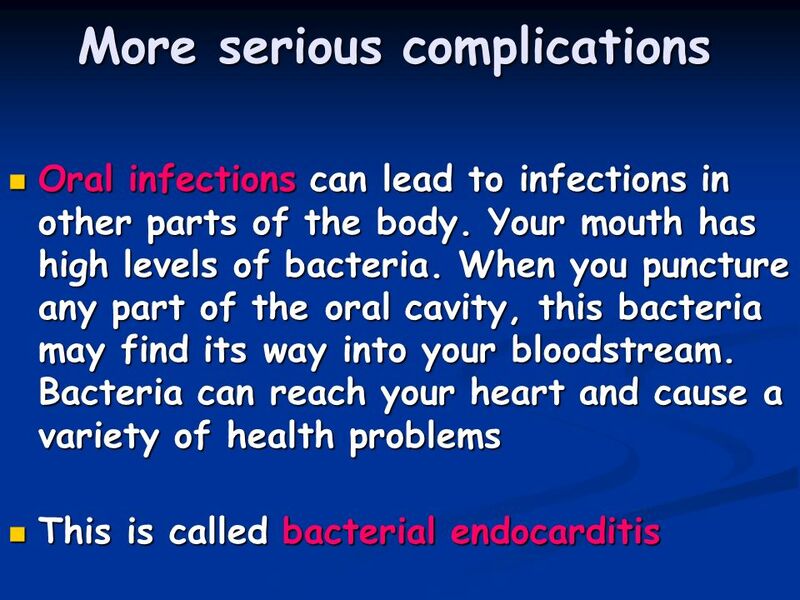 The common signs of dental disease are redness of the gums, bad. 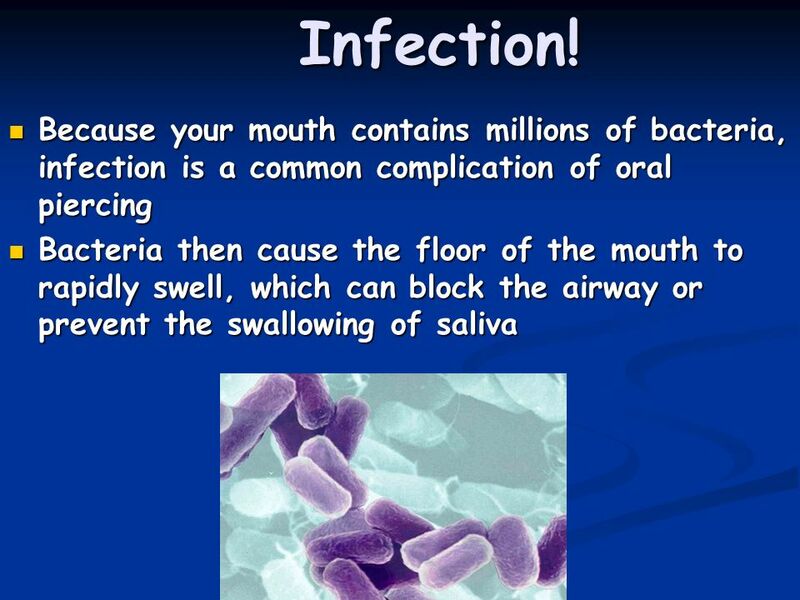 Healthy Teeth and Mouth (3:04) Click here to launch video Click here to download print activity. HEALTHY CHOICES: Care of Your Teeth Ms. Mai Lawndale High School. Dentistry The Teeth, Gums, and Mouth Wesley S. Mullins, D.D.S. November 23, 2004.